Pertussis is a respiratory illness that is caused by the bacteria that is called Bordetella pertussis. The symptoms begin very similar to the common cold but over time they worsen and develop into a nasty cough that includes a very large ‘whoop’ or honk. This cough is caused by the bacteria attaching itself to the cilia that is within the lungs and upper respiratory system. As this bacteria multiplies it will release toxins into the body which will not only affect the cilia during the illness but it can cause permanent damage as well if you are not careful. Damage to the cilia can cause your airways to swell making it difficult to breathe and function. Medical attention is imperative if you suspect that you or your child has whooping cough. The thing about pertussis is that it is incredibly contagious to other humans of all ages. While an adult can handle pertussis typically quite well, very small children can suffer some pretty nasty symptoms during the duration of the illness. Like your average cold, pertussis is spread by a person coughing or sneezing. If you are within a small space with someone who has pertussis or you live with someone who has this illness it is very easy to pass from one person to the next. Babies easily get pertussis from their parents, caregivers or other children that they are in contact with. The germ can be passed before the patient is even symptomatic which can be dangerous since you may not even know a person has pertussis. The most contagious period takes place two weeks before the cough will begin. The common cold-like symptoms can be present during this time however. If pertussis is the cause of symptoms, an antibiotic can be given in order to rid the body of this dangerous bacteria. 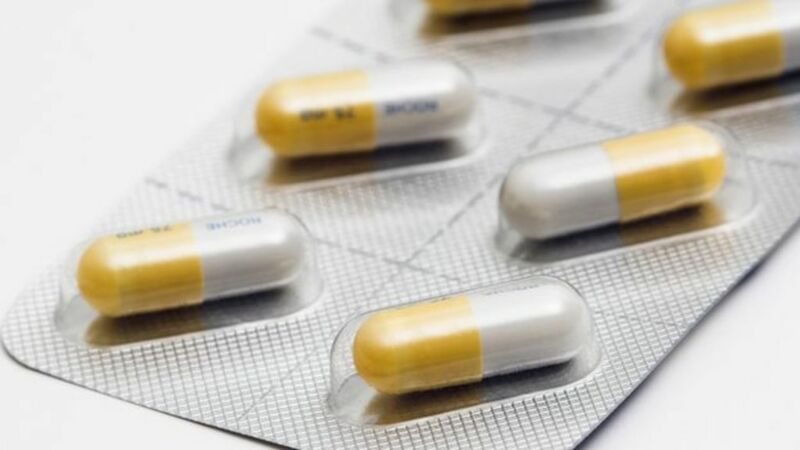 It may take twenty-four to forty-eight hours in order for the antibiotic to prevent passing the illness on though so proper care should be taken to try and protect others. If the illness has progressed, there are some other treatments that can help with the breathing difficulties that may be occurring. Albuterol and other steroid breathing treatments can help reduce inflammation and open up the airways. Doctors will also ensure, especially in small children, that the child is hydrated in order to prevent any complications from occurring. As with any illness it is important to practice good hand washing techniques whenever you are around someone who is sick or when you are out and about. It is wise to avoid contact with someone who you know has been diagnosed with pertussis recently and if you suspect someone is ill, you should avoid sharing a space with them. Don’t forget to get enough sleep at night and eat healthy so your body has the fighting chance it needs if it does come into contact with germs of any sort. There is a pertussis vaccine that you and your child can get to reduce your risk of getting this illness. If you have a newborn in the home and the child is still too young to get this vaccine, the parents and grandparents should get vaccinated in order to protect the young child along with any other children that may be living in the house at that time. However, a person who is up to date on their vaccines can still get pertussis. If you or you child are sick, feel your symptoms are not getting any better, and are developing a substantial cough, then you may want to head to the doctor’s office and be tested for pertussis. It is better to be cautious before you or your small child develop complicated symptoms. 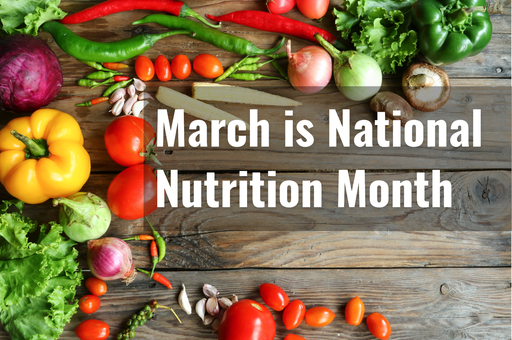 It is National Nutrition Month and the purpose of this month is to bring awareness to a healthy lifestyle so people can make better food choices each meal. For someone like a nutritionist, it might be common knowledge how to make wise choices for breakfast, lunch and dinner each day but not everyone has this knowledge and for some people, they are doing the best that they can with the information that they have. Reaching out to people and arming them with the nutritional information that they need to be healthy and successful is important and getting people thinking about what they eat is the first step towards a big change across the country. While sugary beverages and treats are delightful, they aren’t good for you on a regular basis. Every once in awhile it is ok to have a slice of cake at a birthday party or indulge in a sweet treat as a reward for eating healthy all week but a daily intake of sugar can lead to obesity, diabetes and cancer. Being the most refined carbohydrate that there is, sugar is the most likely thing you can consume that will increase your overall BMI. Don’t waste your daily calorie count on soda or sports beverages. Natural sugars from fruit and such is fine in moderation and is actually good for you. When choosing a beverage aim for eight glasses of water per day and if you need a sweet treat, reach for that juicy apple instead of that candy bar. Protein is what your body utilizes in order to produce energy. Every one of your main meals should have a healthy amount of lean protein included and snacks can include protein as well. This will give you all of the energy you need each day to work, play and be healthy. You can get healthy and lean protein from things like skinless chicken breasts, nuts, milk and eggs. You should ideally consume about 20 to 30 grams of protein in each meal. If you’re dragging and feel tired often you may be low on protein. If you want to feel more full and satisfied throughout the day you may want to increase your fiber intake. This will also help regulate your gastrointestinal tract and keep things healthy in that department. Fiber can be found in fruits and vegetables, seeds and such. Fiber isn’t digested by your body even though it is a carbohydrate. That’s why it is healthy for the body because it isn’t converted to unwanted sugars. A little knowledge on how to read nutritional labels can go a long way towards picking out healthy foods at the grocery store. You should try to keep sugar servings to the single digits and keep carbohydrates to a healthy minimum. This is also a great place to count calories and watch your saturated fats. Cholesterol can come in both healthy and unhealthy forms as well so be careful with choices. Lack of nutritional knowledge is very prevalent in our country these days and while it isn’t people’s own fault that they aren’t well versed in nutritional know-how, it helps to educate since many people are willing to learn something new. It doesn’t always include something involved like visiting your doctor or nutritionist (though these things can help). Sometimes just a bit of basic information goes a long way. Cardiovascular disease is an umbrella term used to describe a wide range of conditions that could affect your heart. It includes blood vessel illnesses like coronary artery disease, congenital heart defects (ones you’re born with) and heart rhythm problems (usually referred to as arrhythmias). In most occasions, the term “heart disease” is replaced with the term “cardiovascular disease.” Professionals define cardiovascular diseases as a general term for conditions that normally cause stroke, chest pain, or heart attack by either blocking or narrowing blood vessels. Heart disease can also be used to describe heart conditions affecting the rhythm, muscles or valves of your heart. These symptoms can occur for around half an hour or even longer and may not respond positively to oral medication or bed rest. The symptoms might appear as mild but escalate to severe pain after a while. If you have diabetes, you’re likely to experience myocardial infarction (MI) commonly referred to as “silent” because it’s a heart attack that doesn’t manifest any symptoms. It’s important to note that these symptoms may not necessarily indicate that your heart is weak. Instead, they may just be a warning that your heart function is mildly weakened. However, it’s possible to have a heart that is severely damaged yet have few or no symptoms at all. 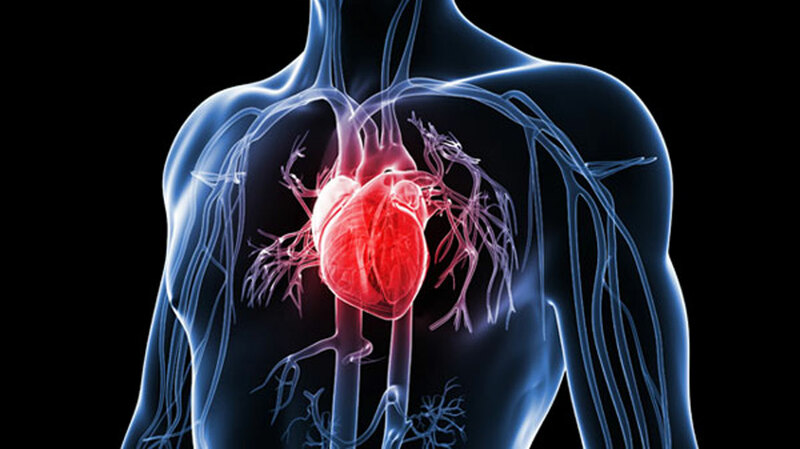 There are many other conditions categorized as heart diseases such as Pericarditis, atherosclerotic disease (affecting blood vessels), Atrial Fibrillation, valvular heart disease, heart infections, Arrhythmias (abnormal heart rhythm), and Heart Muscle Disease or dilated cardiomyopathy. All or most of these illnesses showcase similar symptoms. Heart disease is very deadly and should be treated as an emergency. Heart diseases can be treated if detected early. Hence it’s crucial to consult a doctor as soon as you experience any symptoms to lessen the damage done to the most important muscle in your body; your heart. In case of emergences such as heart attacks, call 911. There are many different types of illnesses we should be aware of in order to prevent them. However, prevention may be too late if the illness is severe. Some illnesses can be treated by regular medicines while others are so serious a different type of treatment is needed such as chemotherapy. When cancer has already grown malignant, many symptoms start showing. These symptoms are very inconvenient as most of them are painful. One example is infection that causes discomfort and pain. Through palliation, these symptoms such as infections and tumors can be treated separately to provide temporary relief. 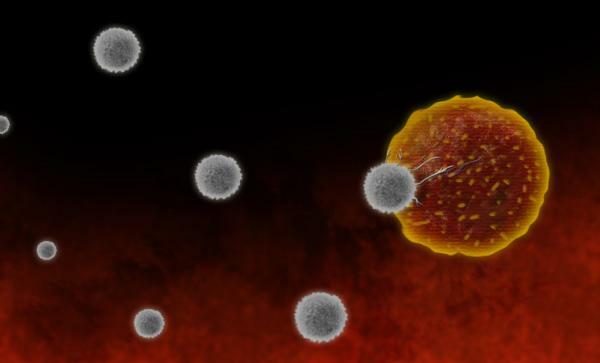 This method doesn’t actually eliminate cancer nor weaken it. It focuses on immediate effects of cancer. Any kind of treatment that aims to reduce only the symptoms is called palliative care. Control is another method of treatment that does not also eliminate cancer. In this method, it may be considered during a particular stage when the cancer starts spreading. The purpose of the control method is to contain and reduce the growth of the illness in order to prevent further symptoms. Just like diabetes and heart diseases, cancer also has a control stage where patients take some maintenance pills. There are times that the cancer seems to have gone away because there are no more symptoms present. However, it may come back in an instant without any warning. If this happens, a control chemotherapy will be performed again. This method of chemotherapy may be obscure as the term “cure” is still theoretical. It means there is still no exact cure for cancer, but this method aims to cure it. It aims to kill and eliminate cancer. This is possible in some cases especially at a very early stage. There are cases that cancer is cured on this method. However, there is always no guaranty that every cancer can be eliminated this way. This is why this method is called curative intent. If you suspect that you have cancer, it is recommended you look for cancer doctor called an oncologist. It is your oncologist who will determine the diagnosis and the proper treatment. When your oncologist found that you have a cancer, they will then prescribe which combinations of medicine to use in a particular chemotherapy and which method of therapy should be used. If your cancer is already malignant, your oncologist will ask you to undergo certain surgical operations to remove some tumors. However, if the stage is still early, the curative intent may be applied. Chemotherapy is still the ultimate method of treatment for cancer. While research on cancers cure is still ongoing, this medical method proves helpful. However, not all patients can undergo this process because it is very expensive. If you have a cancer, it is better to immediately control it before you reach the palliative stage. Nevertheless, prevention is the best method. Allergies can make a person miserable. If you have allergies, your eyes get itchy and watery, your nose gets runny and stuffy, you sneeze often, and it can be difficult to breathe. The best way to avoid allergy symptoms is to avoid the allergen altogether. There are several common allergy triggers that can make a person miserable. Pollen is one of the most common allergens. When a person has a reaction from the pollen, they call it “hay fever.” Pollen comes from many different plants, and there are some days where pollen can be worse than others. While there are times that you cannot avoid the pollen, there are a few things that you can do to prevent a serious reaction. Dust mites live in dust, and they are so small that unless you look at the dust under a microscope, you won’t see them. The symptoms that you get from an allergy to dust mites are similar to that of pollen, however, you need to worry about the allergen all year long. Animal dander is a very common allergy. Not only can you be allergic to the animal’s fur, you can also be allergic to the oil in their glands and their saliva. When you are allergic to animal dander, you could find yourself sneezing, congested, and the dander can cause itchy watery eyes. If possible, avoid the animal that you are allergic to. If you want a dog, there are dogs with hypoallergenic hair that you can adopt. Many people have a food allergy. Some have mild reactions, while other people have severe reactions. Some of the reactions include, hives, vomiting, diarrhea, wheezing or trouble breathing, swelling in the mouth. Some foods include milk, fish and shellfish, nuts, and eggs. If you are allergic to any type of food, you should always have a shot containing epinephrine with you at all times. It could save your life. Mold are tiny spores that can float through the air. Mold thrives in dark, damp areas. They symptoms of a mold allergy are much like the symptoms of a pollen or dust mite allergy, and the treatment is the same as well. The best way to avoid a mold allergy is to repair water damage in the home and wear a mask when working near damp areas, including when you rake the yard. When you get rid of the source of the mold, not only will your feel better but you will be protecting the structure of your home. A foodborne outbreak occurs when there are two or more cases of confirmed illness after consumption of a specific food product. These outbreaks involve the CDC as well as other public health officials and staff members try to control, manage and prevent these types of occurrences. Many times, investigative work is needed in order to determine the scope of the outbreak, the extent and the original source. Learning from each situation is what helps prevent these outbreaks from occurring again in the future. -A pattern to the illness. Either all the cases were in a short period of time or from the same germ. -A larger number of people are ill within the same area than normal. -People who otherwise have no connection to one another are ill but ate at the same restaurant or purchased the same product. -Common point of confirmed contamination. -A certain germ of pathogen is found at a suspected restaurant or store.